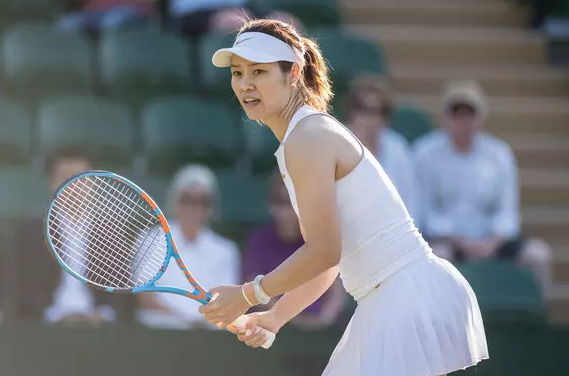 A retired Chines professional tennis player is famously named as Li Na. She is a tennis player who achieved a career-high WTA-ranking of world No. 2 on 17th February 2014. Altogether, she won nine WTA singles titles including two Grand Slam singles titles at the 2011 French Open and 2014 Australian Open. Li Na was the first Asian player to appear in a Grand Slam singles final, a milestone she achieved at the 2011 Australian Open. She was also the runner-up at the 2013 Australian Open and 2013 WTA Tour Championships, a three-time quarterfinalist at Wimbledon and a semifinalist at the 2008 Beijing Olympic Games and 2013 US Open. She is a very talented player. She retired from professional tennis on 19th September 2014. 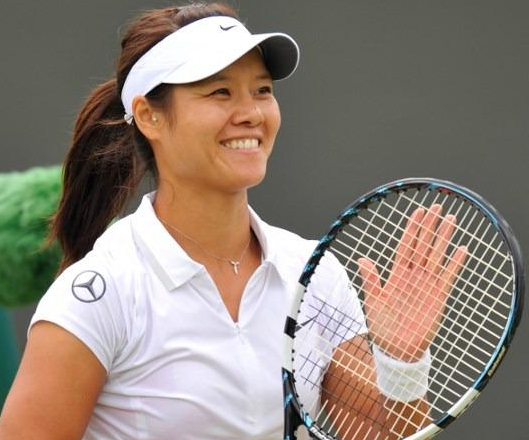 Li Na is a role model for many Chinese Athletes. "She’s a role model for many athletes, especially Chinese players," said Wang. Wang recently won her first WTA Tour title at the Jiangxi Open in July and followed it with another one at the Guangzhou Open last week. For winning two Grand Slams. 36-Years, Li Na was born on 26th February 1982 in Wuhan, Hubei, China. Her nationality is Chinese. She was born to Li Shengpeng and Li Yanping, her parents. Her father was a professional badminton player and later worked as a sales rep for a Wuhan-based company. Her father died when she was only 14 due to a rare cardiovascular disease. Her sun sign is Pisces. Her ethnicity is Asian. Moving towards her education, she studies part-time at Huazhong University of Science and Technology (HUST) where she completed her bachelor's degree in journalism in the year 2009. She started playing tennis at a very young age and entered the professional world on the basis of her strong backhands and swift serves. Li Na has got an athletic body build. Her body figure is very attractive and with her charming smile, she attracts lots of fans towards her. Talking about her body features, she stands 1.72 m tall and has a balanced weight of 65 Kg. Her hair color is black and eye color is also black. Li Na started her career in the year 1999 as a professional. She won all of her first seven ITF doubles tournaments she entered. In the year 2000, she won 52 singles matches on the ITF circuit. At the end of the year 2000, she had won four WTA singles matches, this brought her cumulative ITF singles title count up to 11. Later, she also won seven more ITF doubles events, 6 of them with Li Ting. In the year 2001, she did not appear a lot. She won two further $25,000 ITF singles tournaments and won her 15th career ITF doubles tournament at Hangzhou in March. In the year 2002, she came through qualifying to win her first $75,000 singles tournament at Midland, USA . In the year 2004, she returned to competition and won 26 successive matches to notch three further $25,000 tournament wins and another $50,000 title, increasing her career singles title count to 18. Also, she broke into the WTA top 100 for the first time. In the year 2005, she began the year with a second-round performance at Gold Coast and a semifinal showing at Hobart but unfortunately, she lost. Then, she made her Grand Slam debut at 2005 Australian Open and reached the quarterfinals at Hyderabad and qualified for Doha where she was beaten by Patty Schnyder. Li Na began the year 2006 by taking a heavy toll on her singles ranking, bringing it slipping down to no. 71 by the end of February. In the year 2007, she started by participating in a Tier III event in Gold Coast, Australia, where she reached the second round. She made it to the semifinals, losing a tough match to Kim Clijsters, 5–7 in the third set. She could not play more games after that because of her rib injury. In the year 2008, after her recovery, she competes at the 2008 Mondial Australian Women's Hardcourts in Gold Coast, Australia. In the year 2009, at the 2009 Bank of the West Classic, she lost to Serena Williams in the first round, and at the 2009 LA Women's Tennis Championships Herbalife, she withdrew due to injury during her match with Urszula Radwanska of Poland. Later, she also reached her first US Open quarterfinals, where she lost to eventual champion Kim Clijsters. She started her 2010 tournament at the 2010 ASB Classic in Auckland, where she was seeded second. She was seeded 16th at the 2010 Australian Open. At the 2010 Porsche Tennis Grand Prix, she defeated defending champion Svetlana Kuznetsova in the second round and also she was the 11th seed at the 2010 French Open. In the year 2011, she played in the Medibank International Sydney as the eighth seed, making fast work of Australian wildcard Anastasia Rodionova and winning a tough three-set match against Virginie Razzano in the first two rounds. She was the ninth seed at the Australian Open, where she reached her first Grand Slam singles final, the first tennis player representing an East Asian and Asian country to achieve that feat. She made her debut appearance at the WTA Tour Championships in Istanbul, Turkey. She started her 2012 season in the Hopman Cup where won all three singles rubbers against Marion Bartoli, Anabel Medina Garrigues, and Jarmila Gajdosova. She participated in the 2012 Fed Cup and won all three of her matches on home ground. She also made her back-to-back quarterfinal appearances at the 2012 BNP Paribas Open and 2012 Sony Ericsson Open. She also reached the final of the 2012 Internazionali BNL d'Italia but was lost to Maria Sharapova. She played at the 2012 Rogers Cup, 2012 Western & Southern Open, 2012 Wimbledon Championships, 2012 Toray Pan Pacific Open, 2012 WTA Tour Championships and many more in her 2012 season. Li Na started her 2013 season at the first edition of the Shenzhen Open where she went to the final. She then played at the Apia International, at the Australian Open, at the Porsche Tennis Grand Prix, at the 2013 Aegon International, at the 2013 Rogers Cup, at the 2013 Western & Southern Open, at the U.S Open, at the 2013 China Open, at the 2013 WTA Tour Championships in her 2013 season. She began her 2014 season as the defending champion at the 2014 Shenzhen Open where she defeated former world No. 2 Vera Zvonareva in the first round, Nadiia Kichenok in the second round, Monica Niculescu in the quarterfinals and Annika Beck in the semifinals to reach her first final. After that, she played at the Australian Open, BNP Paribas Open, Sony Open Tennis and many more tournaments. She was forced out of the 2014 Porsche Tennis Grand Prix due to a left knee injury, where she was the finalist in 2013. Since Wimbledon, she did not play any game due to a left knee injury which required surgery. She announced her retirement from professional tennis on 19th September 2014 and ended her career ranked world No. 6 by the Women's Tennis Association. In the same year, she was named one of ESPNW's Impact 25. Li Na is a married woman. She was married to Jiang Shan, a coach on 27th January 2006 and became her personal coach. She announced that she and her husband is expecting a child. She gave birth to her daughter Alisa on 3rd June 2015. The couple is living a happy and peaceful. There is no any sign of separation between them. The net worth of this famous tennis player is surely in million. Her exact net worth is $60 Million as of 2018. She is earning a good amount of money from her career. Along with this, she also received cash prizes winning in the tournament. She is successful in her personal career as well as in her professional career. The salary of Li Na is still to get unfold and will be updated soon. There is no doubt in the mind of her followers that she is earning a considerable amount of salary from her work. She along with her husband is living a luxurious lifestyle. She achieved a career-high WTA-ranking of world No. 2 on 17th February 2014. She won nine WTA singles titles including two Grand Slam singles titles at the 2011 French Open and 2014 Australian Open. She retired from professional tennis on 19th September 2014. She was also the runner-up at the 2013 Australian Open and 2013 WTA Tour Championships, a three-time quarterfinalist at Wimbledon and a semifinalist at the 2008 Beijing Olympic Games and 2013 US Open.